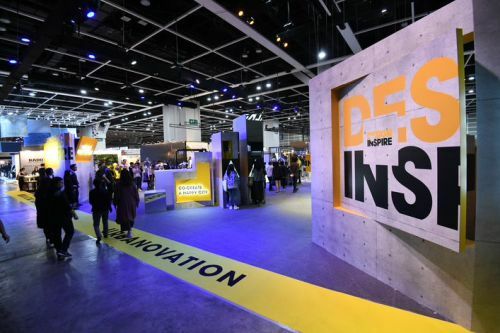 HONG KONG, Dec 6, 2018 - (ACN Newswire) - Organised by the Hong Kong Trade Development Council (HKTDC), the second edition of DesignInspire opened today at the Hong Kong Convention and Exhibition Centre (HKCEC). The three-day event gathers over 230 exhibitors from nine countries and regions, featuring more than 635 designs and projects to showcase the latest design concepts and innovations from around the world. 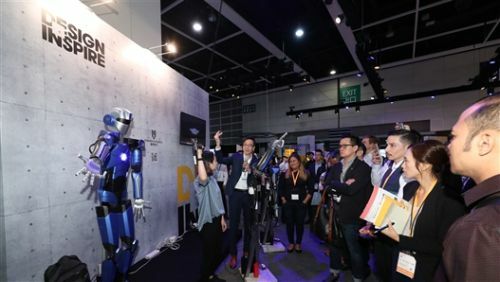 "Under the theme 'Co-create a Happy City', DesignInspire offers a platform for design and innovation elites, trendsetting brands and design associations and institutes to showcase their interactive exhibits and design masterpieces," said Raymond Yip, HKTDC Deputy Executive Director. "Aside from linking creative talents with businesses, we hope the show can enable public visitors to experience how innovative designs can improve the quality of city life." Melbourne has long been regarded as one of the world's most liveable cities. As DesignInspire's partner city this year, Melbourne is hosting a pavilion - titled "Shared Values" - to showcase how creative talents have helped to shape the city for the better. Curated by the National Gallery of Victoria, the pavilion features designs and innovations from more than 100 designers and five universities under the theme "Think, Collaborate, Create". Exhibits demonstrate how design can enhance people's quality of life through health innovation, architecture and product design, and are displayed under different themes, including Play, Making, Wellbeing, Identity, Invention and Learning. Highlights include the Holden Time Attack concept car by GM Australia Design, nuraphone - the world's first headphones to automatically adapt to a users' unique hearing - and 3D printed ornaments by Alterfact. Sponsored by Create Hong Kong* of the Government of the Hong Kong Special Administrative Region, the Hong Kong Creative Force Pavilion showcases a series of local design projects, including "Miniature Depicting Unique Hong Kong", "Beauty and Innovation in Traditional Craftsmanship", "Happy.Block.Chain", and "RetroInnovations". The latter features contemporary installations created by 26 young Hong Kong designers that pay tribute to and reinterpret the city's culture and traditional craftmanship such as ironwork, ceramics and rattan weaving. 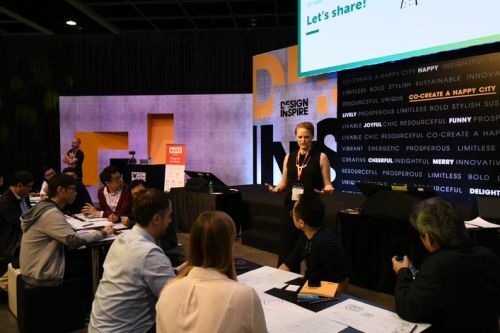 Meanwhile, the Design Council of Hong Kong and the Federation of Hong Kong Industries have joined hands to present "DesignXcel" at DesignInspire, a project to foster collaboration opportunities between design graduates and leading entrepreneurs. Another highlight of the event is the Rado Star Prize, through which young design talents can turn their ideas into reality. The Public Choice winner will be decided by votes cast by members of the public over the three days of DesignInspire. Highlights in the "Urbanovation" Pavilion include an interactive wall from OnActivity that allows visitors to experience various interactive media, including touch, motion sensing, virtual reality (VR) and augmented reality (AR). Another exhibitor is INDE, which features its BroadcastAR technology in which an avatar named SEAN will interact spontaneously with the audience via motion and speech. The "InnoTalks" series is promoting discussion on the latest global design trends and encouraging creativity that can contribute to a better future for Hong Kong.